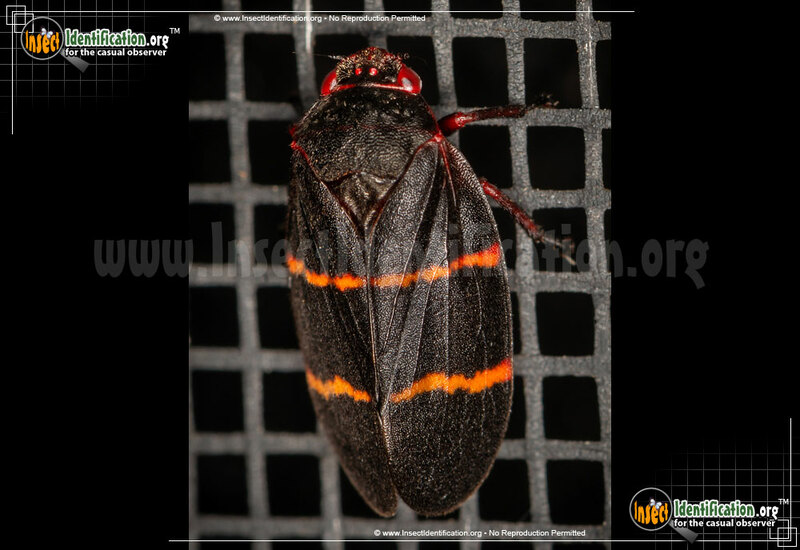 Detailing the physical features, habits, territorial reach and other identifying qualities of the Two-lined Spittlebug. Both adults and nymphs of Two-lined Spittlebugs are capable of secreting a useful fluid for protection if jumping away is impossible. 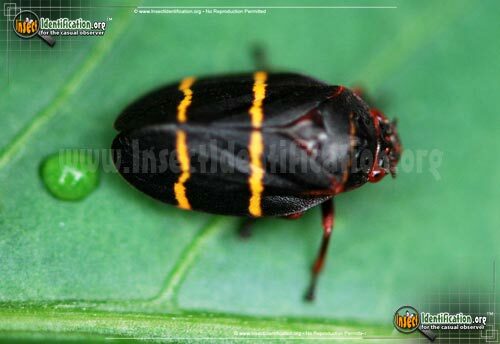 Two-lined Spittlebugs have two orange or yellow lines, or stripes, crossing their black wings. They are quite small and are often overlooked. 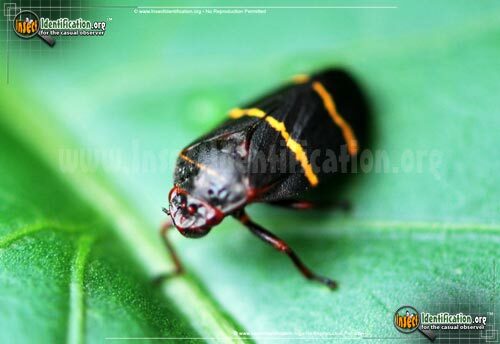 They are sap-suckers and drink the juices of a variety of grasses and ornamental plants, including Bermuda grass. This may cause the plant to suffer and discolor, wilt, or die if done in excess. Spittlebugs hop around their host plants like a frog and might be mistaken for a Leafhopper, but they are not in the same family. True to its name, a young, yellow nymph builds a foamy layer of protection over itself while it grows and develops. This froth is a mixture of mucous and the nymph's own liquid waste that is whipped up by a small protrusion at the tip of the abdomen. The result is a blob of white, bubbly 'spit' on the branch or tree where it sits. 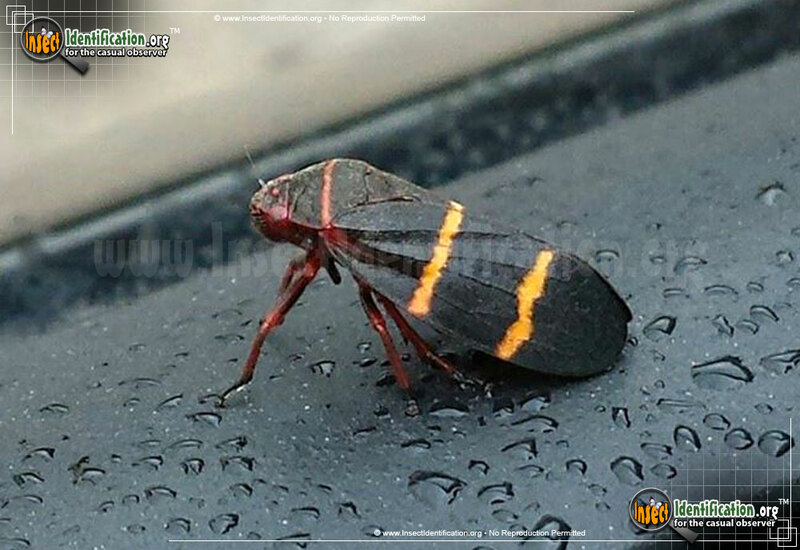 Young Two-lined Spittlebugs hide in this foam to avoid predators, but also to keep their bodies moist. After they mature, adults no longer need the bubble nest and have hard exoskeletons that resist drying out. Adults can secrete a yellow fluid from their feet as they jump away. This is believed to distract or deter a predator. 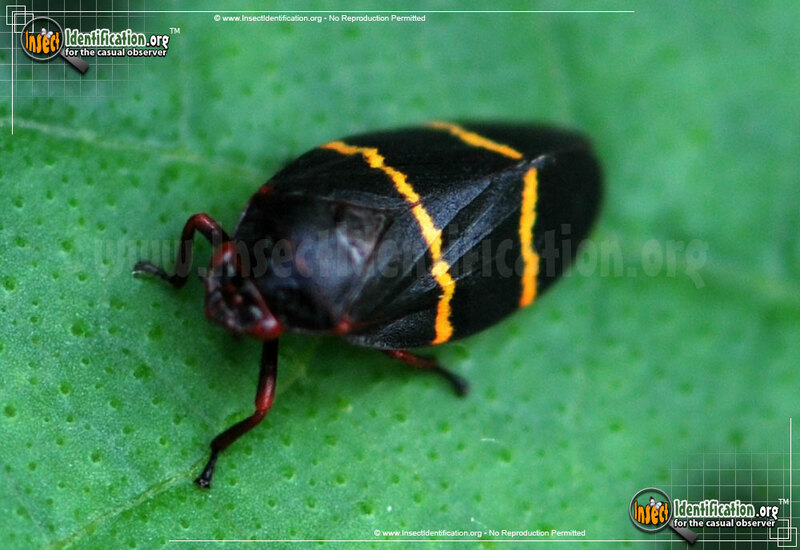 Two-lined Spittlebugs are most active during the warm summer and autumn months.